Flowently stands for a unique modern method to get real with a language. Our well-trained tutors will guide you in live language sessions so that you feel sure in your daily conversations. One of our tools to achieve a natural way of speaking is the study book Taal Tempo Nederlands. How can this make a difference for you? This book will help you improve your speaking skills within a short period of time. The book is a collection of questions and answers. Just reading this aloud you will learn about pronunciation, emphasis and melody. Covering the answers you will learn to answer with the correct personal pronoun and conjugated verb. This is a perfect method to transform your passive understanding into active speaking. We recommend this book to everyone who wants to speak better and our tutors like to start their sessions with a Taal Tempo warming-up. Train your Dutch muscles, learn about grammar, expressions, don’t be afraid anymore of separable and reflexive verbs, no more nightmares about ‘er’ and other little words, that make Dutch so difficult. Even expats who are in the Netherlands for many years noticed after a few weeks working with this book intensively a huge improvement in their ability to ask questions and respond to actual situations. 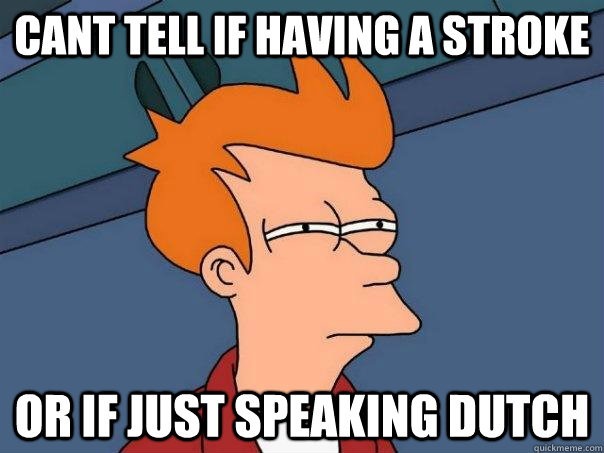 Another advantage is that the Dutch themselves find it easier to understand you when your pronunciation is more ‘Dutch’, just think about the impact of short-sounding or long-sounding vowels. Learn Dutch and find a tutor to work with you on your conversational skills. Don’t feel shy to speak any more and have fun!